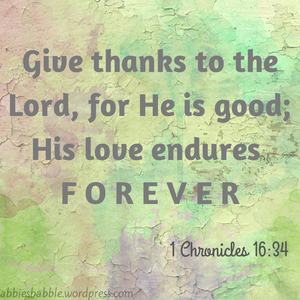 I give thanks to God every day – for His provision, endless love and grace. This week I am especially thankful that my children are healthy. That we are able to spend time as a family, especially in the great outdoors. That we live in an amazing country which is peaceful, safe and where one can choose their life. I honestly believe this for everyone in New Zealand, some people sadly, just haven’t been taught the FULL spectrum of choices they have to pick from. On a less serious note, I am also very grateful that my iPod and my car stereo are fixed. I smashed my iPod screen, my car stereo had a battery issue. At the same time!!!! Both easy fixes thankfully as a life without music, especially all the driving I do, is just plain wrong. Previous postOH THOSE ELDERLY PEOPLE! Thankful that I’m still able to Work For The Lord !!! Thankful that my mind is good and I can still write my Poetry http://www.allpoetry.com/RainbowBlessings !